Revisiting the early days of the band when Dave Pirner had long, stringy hair and played a beat-up, old Telecaster – OK, maybe not the best flashback signposts to use – Soul Asylum has announced a deal with specialty label Omnivore Recordings to release expanded reissue editions of its first two albums this summer. The new versions of the Minneapolis alt-rock hitmakers' original two Twin/Tone albums, 1984’s “Say What You Will… Everything Can Happen” and 1986’s “Made to Be Broken,” will be available on CD for $17 starting July 20. Each reissue includes remastered updates of the original tracks, plus more than a dozen bonus tracks apiece and booklets with extra photos and liner notes. Renowned music scribe Gina Arnold wrote an essay for the latter album, while one-time New Alliance label operator Robert Vodicka contributed notes for the debut. Omnivore has previously done an excellent job reissuing albums from Bob Mould – who produced both of these Soul Asylum LPs way back when – as well as former SA bassist Tommy Stinson’s Bash & Pop, the Posies, Chris Bell, Camper Van Beethoven and many older R&B and soul acts. Both albums show off the more bombastic, snarling, spazzy side of the band that originally earned them the name Loud Fast Rules -- a side often lost when Soul Asylum went multi-platinum in the subsequent decade riding “Runaway Train.” Bonus tracks with “Say What You Will” include some recordings made under the original band name. The more superior album by a long shot, “Made to Be Broken” will be reissued with some of the tracks that made up the cassette-only outtakes collection “Time’s Incinerator,” plus a couple never-before-issued songs. 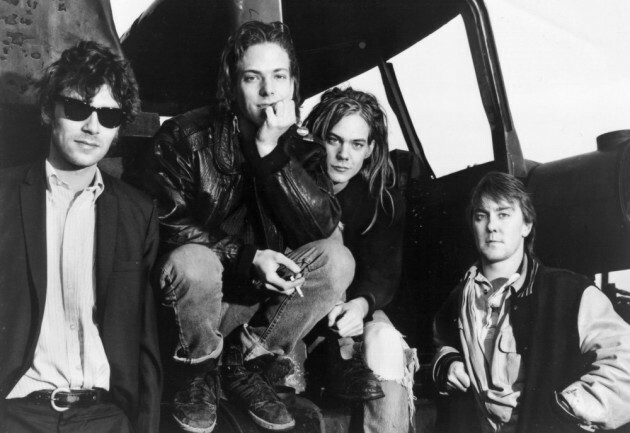 Alongside such heavy blasters as “Tied to the Tracks,” “Voodoo Doll” and the title track of “Made to Be Broken,” though, these first two albums also show flashes of the more tender, quieter Soul Asylum in “Stranger” and “Never Really Been,” each tunes that would often still pop up in the band’s set lists a decade-plus later. Soul Asylum's co-founding guitarist Dan Murphy, who retired from the band in 2012, has long voiced a desire to remaster their old Twin/Tone albums, which also includes another great one from later in 1986, "While You Were Out." The remastering with these first two albums was done by Grammy-winning engineer Michael Graves, who has worked on everything from Big Star to Vince Guaraldi recordings. Omnivore also posted a little promo video for the reissues with today’s news.